The handmade ladies leather backpack provides a more stylish way to carry laptop and other daily essentials for every female user. Like the design? Let’s keep checking. 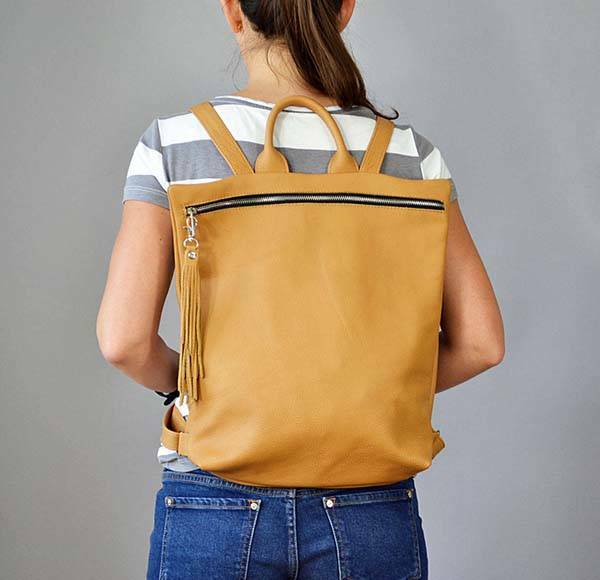 This is a beautifully designed and well-crafted leather backpack for women handcrafted by BarbaraLeatherDesign, a small handicraft studio from Poland. 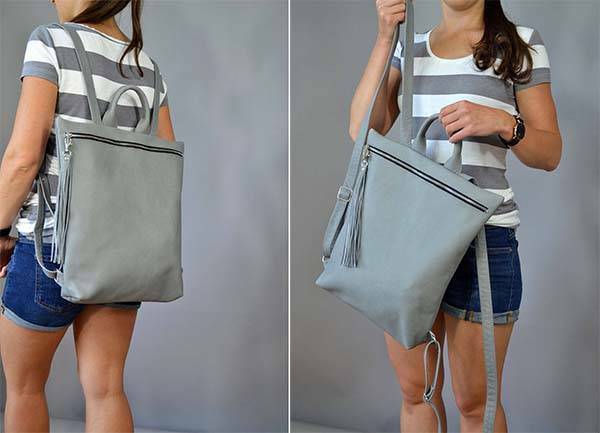 The ladies backpack measures 15 inches high by 13.7 inches wide. As we can see from the images, it shows off an graceful and stylish appearance design along with four elegant color options in order to meet more personal styles. Meanwhile, it’s made from 100% Italian leather for durability and premium feel. The metallic hardware and tassels complement to the fashionable look. The ladies leather backpack features a large compartment to fit A4 folded, a 13″ laptop, and a couple of books, and the metallic zipper keeps your items securely in place when you’re on the move. Moreover, another zippered pocket is hidden in the back of the backpack, which allows for some valuables like smartphone, wallet and more. The adjustable leather straps can be extended to 48 inches long, so it provides a comfortable wearing experience for different wearers, and an integrated top handle is designed for easy hanging and grab-and-go action. 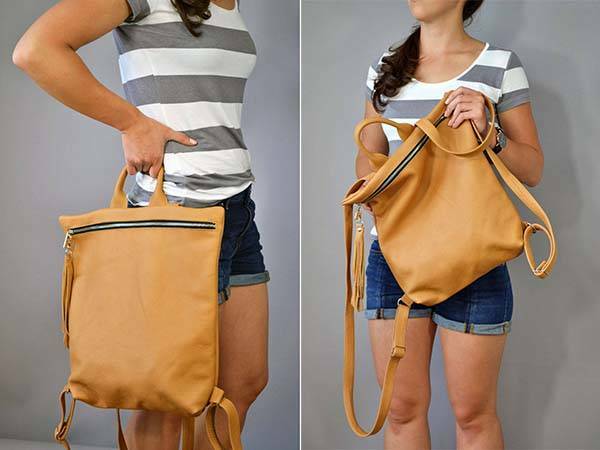 The handmade laptop ladies leather backpack is priced at $89 USD. If you’re interested, jump to Etsy (gray, black, brown) for its more details.